Cheer, or cheerleading, is a physical sport that is a combination of acrobatics routines that are combined with encouraging chants. Typically cheering is performed at other sporting events such as football and basketball, but cheering is also a competitive sport of its own merit. Cheerleading was originated in America and largely remains an American sport. Dance is a sport that that is comprised of a group of people and combines dance routines, which may or may not cheer, depending upon the organization. Dance teams, or squads, compete against one another or perform at sporting events, particularly at halftime. There are all sorts of dance styles incorporated into the dance routines. Cheerleading was born in the late 1800s at the University of Minnesota when Johnny Campbell led a group chant at a football game. Overall, a male sport until the 1920s, cheerleading is a female dominated sport currently. Although today's collegiate cheering squads are made up of practically equal numbers of male and female members. Dance teams are an evolution of cheerleading in as much as the competitive sport aspect is concerned. Dance squads are comprised of both men and women who perform dance routines that sometimes include the use of pom-poms. Performance dance teams are typically considered separate from pom squads. Many professional sports teams have cheerleading squads, such as the Dallas Cowboys football team has the extremely popular Dallas Cowboys Cheerleaders. Professional cheerleading teams support and encourage teams of not only football, but also wrestling, basketball, and occasionally baseball and hockey. Professional dance teams are sometimes thought to be the same thing as cheerleading, but there is a difference when it comes to dance teams that are not associated with a sports team. Professional squads of dancers work to perfect routines that mostly incorporate dance moves rather than cheering. Cheerleading competitions are international in nature and hold events on a regular basis. Since the 1980s, cheerleading has become an industry that is only rivaled by dance. Critics of competitive cheerleading feel that it is not an actual sport because not all cheerleading squads compete and scores are based upon human judgment. Dance competitions are held internationally as well, and many are in association with cheerleading organizations. There are many famous championship contests, such as the National Dance and Drill Team competitions, which are held annually. Cheering is an activity that involves chants of encouragement for a team. 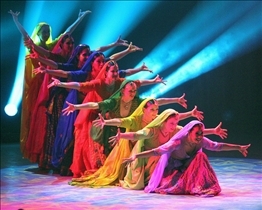 Dance is sometimes associated with a sporting event, while it is also found as its own separate activity. Cheerleading is overwhelmingly considered a female dominated sport, while dance is comprised of both men and women to a large degree. Dance teams and cheerleading teams are growing in popularity based upon movie and television features of the sports. Reality shows as well as dance shows and cheerleading competitions on national television have propelled the sports into the limelight. Video games featuring cheerleading have also become popular over the past few years. okay, I'm a cheer leader and about 95% of the things "bad" you said about it are false. you're judging upon cheer leaders from movies of some sort. not all cheer leaders are like that. we don't wear tight clothes and we don't do inappropriate moves. you've got it all wrong. Well Zoe, you just showed that some cheerleaders have a bad attitude as well.... and that to the bad list! As a dancer, we do use poms sometimes, there's actually a catagory for Pom's at high school dance competitions. I'm glad you put a lot more of dance pro's though, as many sites said how great cheerleading was, but that's it. I'm a cheerleader as well and yeah like zoe said 95% of what you said was wrong! I've been both a cheerleader and a dancer for 4 years now and I love both activities for many separate reasons. Contrary to what was posted there will always be moves that someone will find inappropriate in both sports. The way a person acts is up to themselves, not the sport. I think that if you are in a situation where you have to choose you should do your research separately on dance and then on cheer. That way you do not get a very biased answer like you have here. Best of luck!